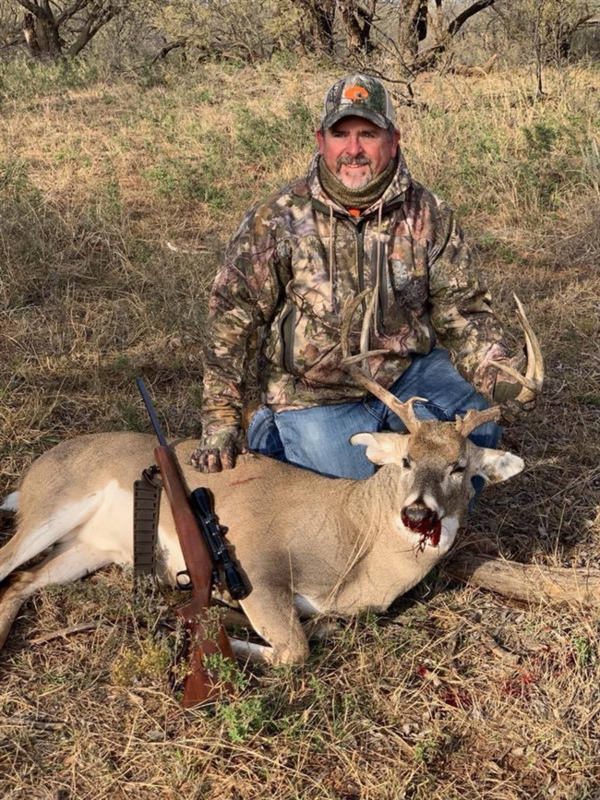 We have been hunting the Sjogren Ranch for 8yrs as guests of the late owner Carl Sjogren. Over the last 8 yrs we have have fed continiously, added stock tanks. Along with feeding for long periods we also carefully selected the game taken from this ranch, mainly taking doe and only a few mature bucks. 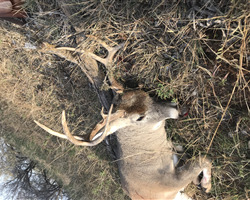 This buck was taken this year after watching him for several yrs. He matured well and of late had been rutting hard and working scrapes all week. After seeing him earlier in the week prior to Thanksgiving I hunted his rub and scrape line for several days and was fortunate enough to harvest him on the morning of the 22nd. I celebrate this great deer in memory of my good friend Carl Sjogren. Carl lived life for our Lord and Savior Jesus Christ as well being an avid sportsman who loved to hunt and fish. We spent our Thanksgivings together hunting on his ranch a time of year he and my family cherished as a tradition over the last 5 yrs. Unfortunatly Carl passed away in a automobile accident on Thursday November 1st, 2018. After his funeral his family allowed us to follow through with our plans to hunt his ranch the week of Thanksgiving. 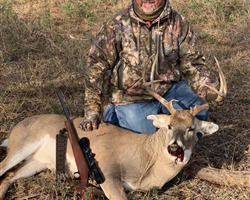 We harvested 3 great bucks (this being one of them) and several doe and had a great week in celebration of the great life and memory of our friend Carl Sjogren.